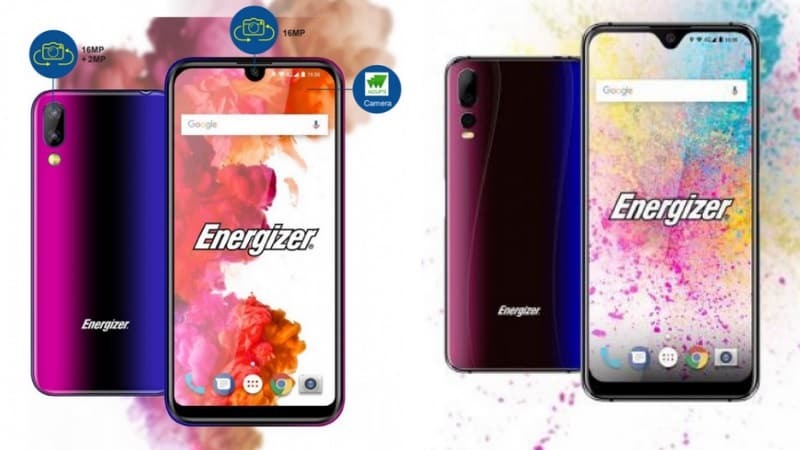 Energizer Mobile is all set to make a big splash at MWC 2019 later this month by launching a total of 26 smartphones and feature phones. Avenir Telecom, the licensing partner of Energizer Mobile, will unveil the new phones under four lineups catering to a different segment of users. The upcoming Energizer Mobile offerings include smartphones with dual pop-up selfie cameras, a foldable smartphone and one with a mammoth 18,000mAh battery. The latter is claimed to be the largest capacity battery available in a commercially available smartphone. Energizer Mobile has tweeted that the 26 new phones will be showcased at the company's booth between February 25 and February 28 at MWC 2019 in Barcelona. Energizer Mobile has revealed to GSMArena that the upcoming smartphones will come with features such as dual selfie cameras in a pop-up module, ‘professional scanning', foldable design and a huge 18,000mAh battery. The upcoming Energizer-branded phones will fall in four series that includes the ‘Hardcase' lineup for rugged smartphones and feature phones and ‘Energy' series of low-end devices. Additionally, the ‘Power Max' lineup of smartphones feature large batteries, while the new ‘Ultimate' series will comprise of six high-end smartphones with innovative features and attractive design elements. Energizer Mobile's 18,000mAh battery smartphone will fall under the Power Max lineup that already offers a phone with a huge 16, 000mAh battery in the form of the Power Max P16K Pro. However, the company is yet to reveal any details about the hardware specifications or design of its foldable smartphone that will also be launched later this month. The company has already given a sneak peek of the upcoming premium smartphones in the ‘Ultimate' series that will officially be launched at MWC 2019. The ‘Ultimate' series will include the Energizer Ultimate U620S Pop and the Energizer Ultimate U630S Pop, both of which feature dual pop-up selfie cameras. The Energizer Ultimate U620S Pop features a dual 16-megapixel and 2-megapixel front camera pop-up module and triple cameras on the back (16-megapixel + 5-megapixel + 2-megapixel). The smartphone is powered by the MediaTek Helio P70 SoC paired with 6GB of RAM and 128GB of internal storage. The Energizer Ultimate U620S Pop features a 6.2-inch display that draws power from a 3,200mAh battery. The Energizer Ultimate U630S Pop has the same dual front camera setup fitted inside a pop-up module, but only has two rear cameras comprising of a 16-megapixel and a 2-megapixel depth sensor. It has a larger 6.3-inch display, is powered by the MediaTek Helio P22 SoC paired with 4GB of RAM and 64GB of internal storage and is fitted with a 3,500mAh battery. The Energizer Ultimate U630S Pop will hit the market in June, while the Energizer Ultimate U620S Pop will be made available in July. Energizer Mobile will also launch a trio of notch-toting smartphones later this month viz. the Energizer Ultimate U650S, Energizer Ultimate U620S and the Energizer Ultimate U570S, with all three featuring a teardrop notch with a V-shaped and U-shaped design. The Energizer Ultimate U620S features triple rear cameras, is powered by the MediaTek MT6765 SoC and will be available in two gradient colour options. The Energizer Ultimate U650S and the Energizer Ultimate U570S both feature dual rear cameras with a 16-megapixel primary sensor and a 2-megapixel depth sensor. The Energizer Ultimate U570S will hit the market in April while the Energizer Ultimate U650S will be up for grabs in October later this year. Will MWC 2019 introduce port-less phones to the world? We discussed this on Orbital, our weekly technology podcast, which you can subscribe to via Apple Podcasts or RSS, download the episode, or just hit the play button below. What Time Will Game of Thrones Season 8 Episode 1 Be Telecast in India?